Choosing one between Magento & Shopify for Ecommerce development is a taxing question. With head-to-head comparison know which one platform is the best choice. 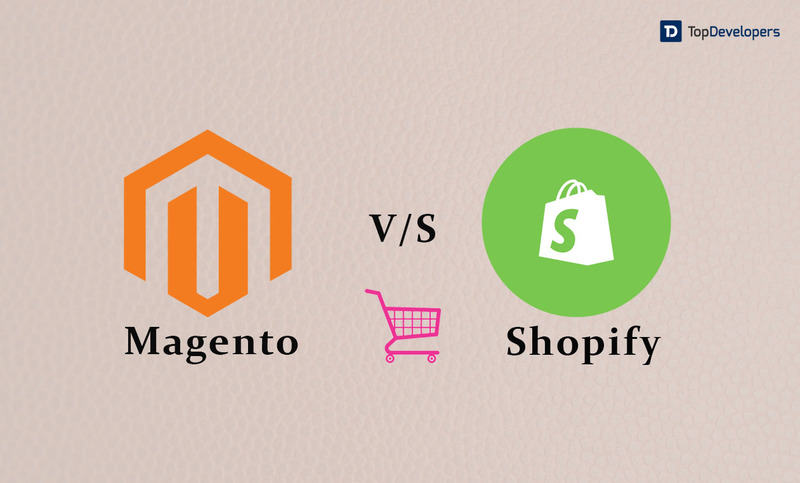 Magento Vs Shopify: Which Is The Best Bet To Place? Planning to build an online store? That’s great! You are making a step towards digital selling that your customers like the most. Also, there are multiple platforms available on which you may have stumbled upon to develop the digital store and enjoy the amazing benefits. All sounds good, isn’t it? But, I have to say something. Not so long back, Magento was considered as the best platform to fulfill all the E-commerce site needs and bring epic success to the business. With time, the scenario got changed and other platform options like- Shopify start becoming the top choice for the Ecommerce stores. Later, the businesses have started building or migrating the store to Shopify. Even, according to Google trends, in 2016, Shopify turns the tide, leapfrogged the leading Ecommerce platforms like- Magento, and declared as a winner in terms of SEO effectiveness, popularity, pricing and pretty more. Well, it doesn’t signal Magento has lost its user base and the value it has earned in the tenure of more than a decade. With Magento 2.0 release, the platform has created a huge buzz in the market with the addition of innovative features. Now, it’s quite confusing to know where the E-commerce market is making a shift. It muddies the water! There is a wide difference in Magento and Shopify when it comes to the coding. Both platforms use different programming languages (Magento- PHP and Shopify- Liquid), which is a big decision for the developers. Magento is an open-source platform which means the code is freely available and can be modified with a great ease. On the other hand, Shopify is a commercial platform, so neither the code is available at free and can be altered to suit the store specific needs. This way Magento is an ideal solution for the comprehensive stores with advanced functions where changes in the source code are needed. It’s no wonder that most of the purchases begin with a Google search and having high rankings on search engines means driving high organic traffic to the store. Both Shopify and Magento platforms allow the stores to add headings, meta tags, page URLs, titles and independent links to boost the SERP. Magento provides several options to increase the SEO score, which stores have to leverage intelligently to improve SEO rankings, else nothing will happen. 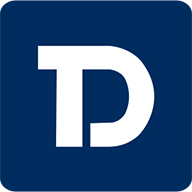 The traffic control app that Shopify has is an add-on which protects the store from not losing the traffic when they migrate by managing redirects. During store migration, Shopify is the best choice. The Multilingual support is incredibly important for the stores that are selling the products or services worldwide for increased sales and revenue. Magento is packed with an in-built multi-lingual capability which alleviates the need to create multiple stores with the multi-lingual store. Shopify won’t offer inbuilt multilingual support but provide the third party apps or premium options leveraging which multi-lingual store can be created. With CSS/HTML code editing, the stores can have complete control over the design, themes, and look-and-feel of the Ecommerce website. Again, both Magento and Shopify offer advanced customization capabilities to the store owners. Here, the open-source platform- Magento excels. It allows the stores to do a lot of tweaking that’s beyond the changing of basic attributes like- fonts or color with simple drag and drop visual editing. Shopify also offers a wide range of themes, which can be used to engineer the best website, but the themes are proprietary so the changes are viable up to an extent and store branding is less feasible. However, Shopify provides some tools that make customization easier. The powerful Ecommerce store building platforms come with the well-designed and well-thought user interface. Shopify stands a step ahead in the installation and makes the store up for running. Shopify has a wizard mode, which enables the user with no technical knowledge to set up the online store in a couple of minutes. With Magento platform, to get up and run the store, hiring the Magento developer is essential. Besides, Magento is not a hosted solution, so the stores have to procure the hosting service to set up the store. The addition and selling of the unlimited number of items are allowed by both Magento and Shopify platforms. But, the starter plan of Shopify restricts the items listing and selling to 25 per store. Well, the store owners can buy the other plans offered by Shopify. Magento users must be careful as it is not a fully managed and hosted solution, so before adding the number of products, the stores must check the host performance and loading speed. This problem won’t exist with Shopify. What you all need to pay? With Shopify, the stores have to pay the monthly subscription fee that includes the price of hosting as well. The different pricing options are offered for the different types of the businesses by the Shopify. Additionally, the fees are charged when transactions are made through external payment gateways on the store that may range from 2.0% to 0.5%. On the other hand, the Magento community edition is completely free and the enterprise edition is premium whose cost varies as per the Ecommerce site needs. But, don’t forget the expenses that stores have to incur for third party hosting services. Both platforms have their own advantages and downsides, so select the one that best suits your online store needs. Certainly, no one other than E-commerce stores understands the importance of getting available to the customers at the time they need. With no doubt, Shopify customers support is ready to help the stores 24/7 via live chat, phone or email, but Magento doesn’t. Although the large community of the Magento offers rich knowledge, resources, and tools that help beginners or the businesses to resolve the issues they are facing. But, the help is of no use unless you have a technical background. There is no one-size-fits-all solution. Various businesses have different Ecommerce site needs and placing a bet on the right platform helps them accomplish the business goals and best serve the purpose. The comparison armed with facts aids you in deciding which stacks up to another in Magento Vs. Shopify. What’s your pick for the Ecommerce development? Choose from Top Magento or Shopify development companies by TopDevelopers.